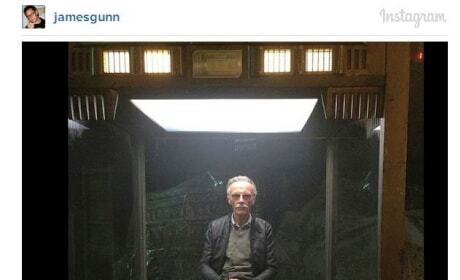 The "first" cameo by Stan Lee was to have him in The Collector's space. 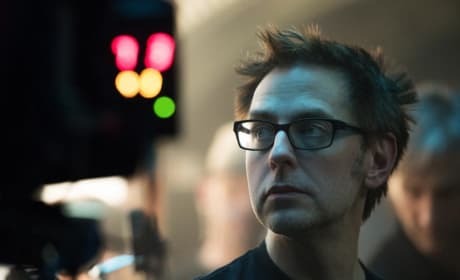 James Gunn had to change it. 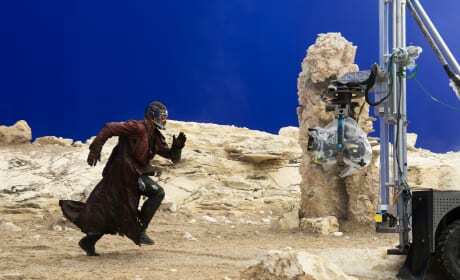 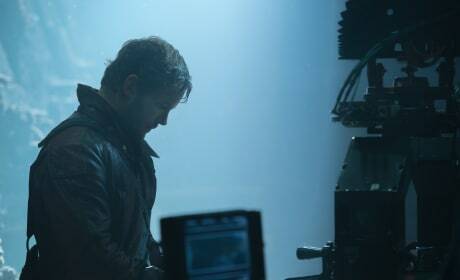 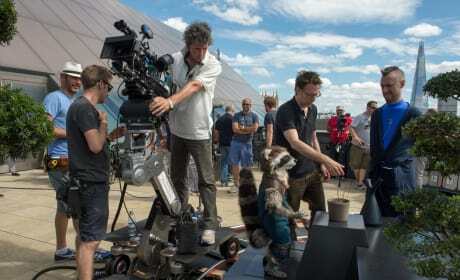 Director James Gunn on the set of Guardians of the Galaxy. 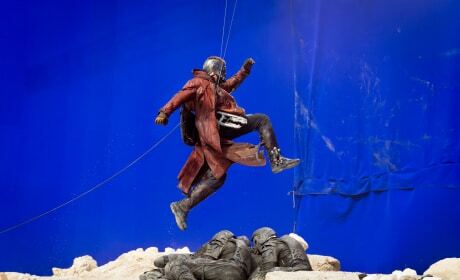 Chris Pratt stars. 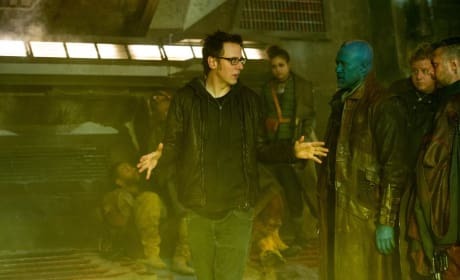 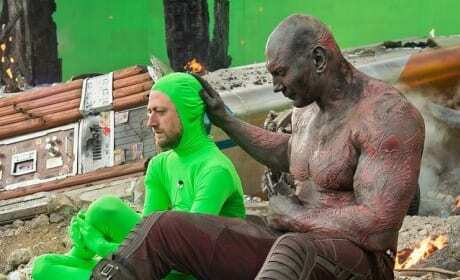 Michael Rooker and James Gunn on the set of Guardians of the Galaxy. 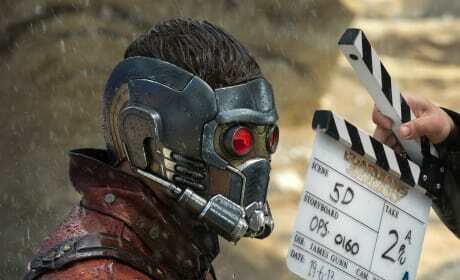 The latest Marvel movie is tops in the world.